On Saturday, February 27, 2016, the Fundación Quisqueya hosted their annual Canta al Señor en las Naciones charity event at Shula’s Hotel & Golf Club in Miami, Florida to raise funds for a project that will build a dining hall and center for the children of a town in the Dominican Republic who desperately need shelter. The event’s host, the Fundación Quisqueya, currently provides food for children in the area, but these kids have nowhere to go where they can actually sit down and enjoy a meal and they must eat their meals in the streets due to lack of available shelter. Additionally, the foundation provides free haircuts and much-needed school supplies. The Canta al Señor en las Naciones charity event held on February 27 at Shula’s Hotel & Golf Club was a major success. There were several hundred people in attendance this year who came out in support of the foundation and of the project to help children in the Dominican Republic. Highlights of the night included unforgettable concert performances from singers like Pablo Perez, Natalie Billini and Ricardo Rodriguez, as well as the exquisite food that was served. 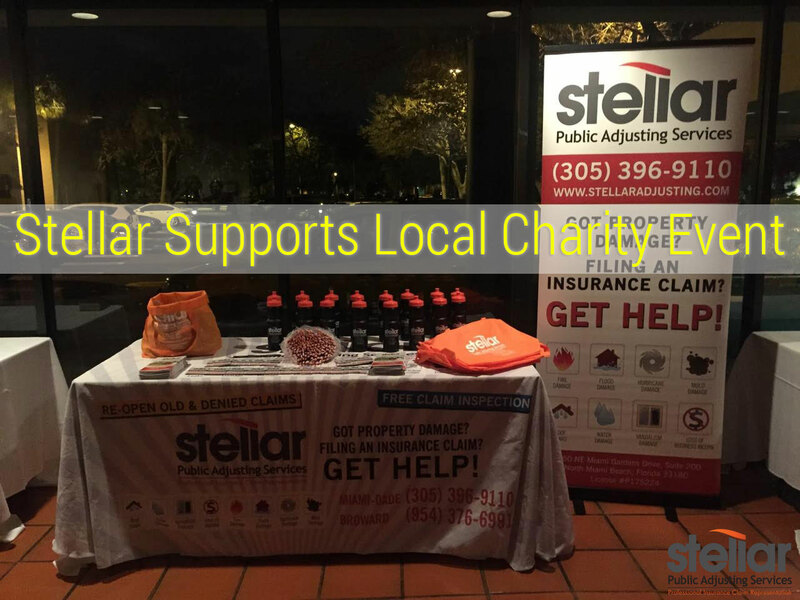 Stellar Public Adjusting Services was one of several local businesses who provided support to the foundation by sponsoring the event. We joined forces with RadioMiami 1450, Vive 360, One Vision Management and many others to sponsor the entertaining charity event hosted each and every year by the Fundación Quisqueya. As sponsors of the event, Stellar Adjusting set up a booth and provided giveaways to the people attending the event. For more information regarding the Fundación Quisqueya or the Canta al Señor en las Naciones charity event, you can visit them on Facebook. Additionally, those wishing to contribute their time, effort or money can do so by joining the Fundación Quisqueya’s Facebook group. We hope to see you next year at the Canta al Señor en las Naciones charity event hosted by the Fundación Quisqueya!